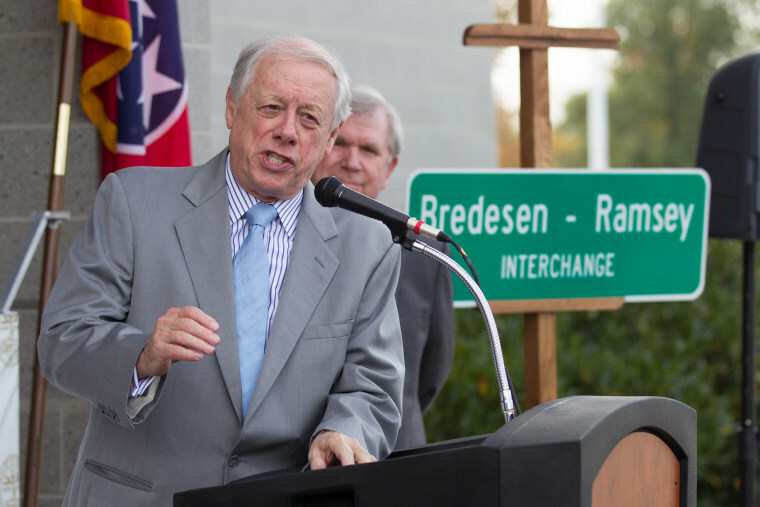 WASHINGTON — Here’s a question to ponder: Who would you rather be right now — Republican Josh Hawley in Missouri’s Senate race or Democrat Phil Bredesen in Tennessee's? If your answer is Bredesen (who has a slight lead in the polls) over Hawley (who’s essentially tied as Missouri looks to impeach the state’s GOP governor), then it’s not all that hard to see how Democrats could gain the net of two seats they need to win the Senate in November. So if the first two Senate races on our list flip parties (Nevada and Arizona) and nothing else does, then Democrats net their two-seat pickup. Ditto if just the first four seats (Nevada, Arizona, North Dakota, Tennessee) switch hands. The problem for Democrats is that if Republicans win in Missouri, Indiana and West Virginia, that would ensure that the GOP keeps control of the Senate. But right now — with Election Day 2018 exactly six months away this Sunday — Democrats have a much better shot of winning the Senate than you might think. “President Donald Trump only recently found out that he reimbursed his personal attorney, Michael Cohen, for a $130,000 nondisclosure agreement with adult performer Stormy Daniels just days before the 2016 election, his lawyer Rudy Giuliani claimed Thursday,” per NBC’s Kristen Welker. President Trump today heads to Dallas, where he speak at the National Rifle Association’s leadership forum at 1:45 pm ET. And as our March 2018 NBC/WSJ poll shows, the NRA’s popularity has declined after the tragic Parkland shooting. Per the poll, 37 percent view the NRA positively, versus 40 percent who see it negatively — the first time it’s been underwater in our poll since 1999. More: “The move came roughly two hours after Conroy released a letter stressing his intent to stay in his position. ‘I have never been disciplined, nor reprimanded, nor have I ever heard a complaint about my ministry during my time as House chaplain,’ Conroy wrote in a two-page letter to Ryan that was obtained by NBC News. Conroy also claimed in the letter that Ryan chief of staff Jonathan Burks told him, when asked why he was being let go, ‘something like “maybe it's time that we had a Chaplain that wasn't a Catholic.”’ Ryan himself is Catholic.